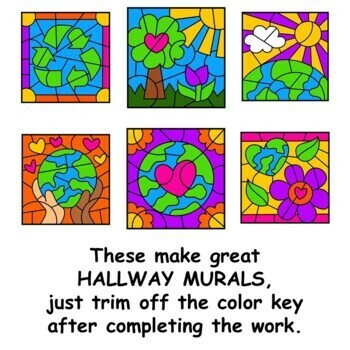 Color by Number Addition Facts Earth Day Set is a set of 6 Color by Number pages. These pages are coded with Addition Facts. There are 3 pages coded with Sums 1-10, and 3 different pages coded with Sums 10-20. This is perfect for differentiating for the needs of your students, and engaging as well. 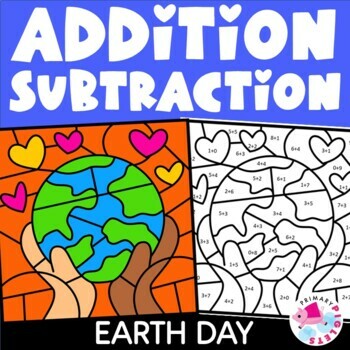 Earth Day Addition & Subtraction Facts Color by Number BUNDLE is a BUNDLE of 2 of my products listed above. 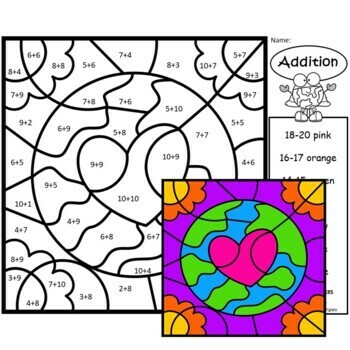 You get the ADDITION FACTS EARTH DAY COLOR BY NUMBER SET which includes 6 Color by Number pages. These pages are coded with Addition Facts. There are 3 pages coded with Sums 1-10, and 3 different pages coded with Sums 10-20. 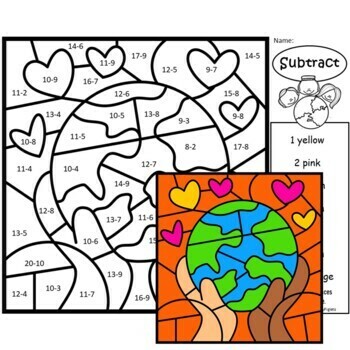 You also get the SUBTRACTION FACTS EARTH DAY COLOR BY NUMBER SET which includes 6 Color by Number pages. The pages are coded with SUBTRACTION FACTS. These are perfect for differentiating for the needs of your students, and engaging as well. I like to mix it up and present 3 pages for them to choose from, this way they feel like they have choice even though I know they are practicing the skill I chose. Color coded answer keys included. Color by Number pages are highly engaging, and ENGAGED students are a teacher's dream! Give them some much needed ADDITION & SUBTRACTION FACTS practice while enjoying the CALM & FUN of coloring in mosaic picture.